The measure, backed by U.S. Rep. Charlie Crist, requires NOAA to maintain a backup fleet of hurricane hunter planes. WASHINGTON, DC – U.S. Rep. Charlie Crist, D-St. Petersburg praised the passage of a bill that would require the National Oceanic and Atmospheric Administration to beef up its fleet of hurricane hunter airplanes. 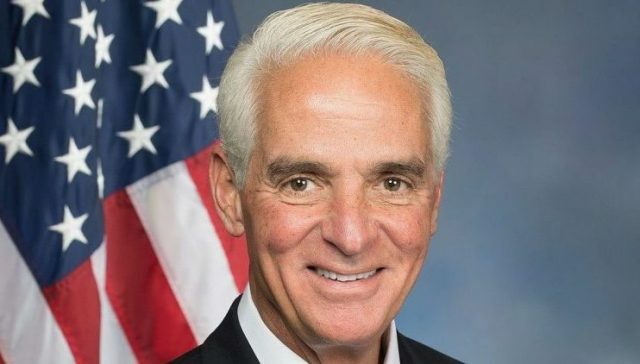 Crist said he advocated to help ensure that the Weather Research and Forecasting Innovation Act of 2017 included language that would provide a backup fleet of hurricane hunter planes. Earlier this year, Crist joined U.S. Rep. Darren Soto, D-Kissimmee, and U.S. Sen. Bill Nelson, D-FL, in introducing the Ensuring the Reliability of Our Hurricane Hunter Aircraft Act, requiring NOAA to maintain a backup hurricane hunter fleet to strengthen its ability to provide critical forecasting, to help communities better prepare for storms. As a member of the House Committee on Science, Space, and Technology, which has oversight over NOAA and the National Weather Service, Crist helped push for this language to be included as part of this larger legislative package. With House passage of the Senate’s amendment, this measure will now be sent to the president to be signed into law. Crist represents the 13th Congressional District, which covers mid- and south Pinellas. Photo of the newly upgraded and repainted hurricane hunter NOAA Lockheed WP-3D Orion N42RF, also known as “Kermit,” taking off from Tampa on Jan. 18 courtesy of NOAA Office of Marine and Aviation Operations.